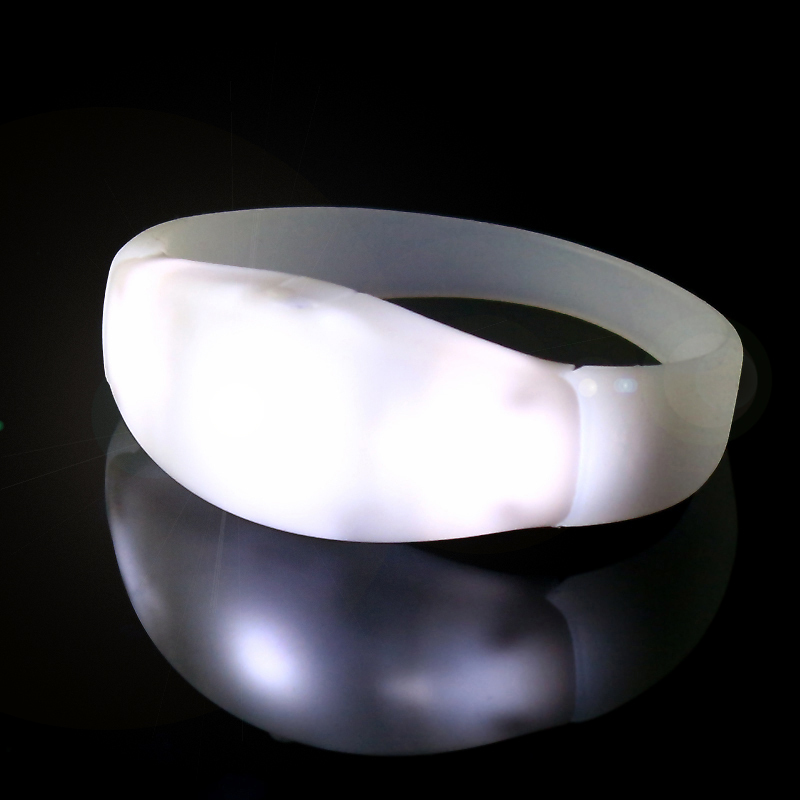 Ideal for Parties, Clubbing, Raves, Festivals etc, this LED wristband is Sound activated and will pulse flash to music from low level sounds to loud pumping house! Yes, these work with Acid, R&R, D&B and any other funky sounds, simply awesome! It’s like having your own personal lighting rig right on your arm! Pre-loaded with replaceable batteries and ready to go! Oh, and they come in Green, Blue & White! Printing available.